New Frontiers Participants “Blazer”, will be exhibiting at the upcoming Science Gallery Exhibition from the 11.03.16—05.06.16. Titled “Field Test”, its an exhibition about the future of farming and the various roles technology could play in farming. Blazer’s exhibit is an app that allows people to identify what is in an image and tell them whether there is a healthy bee with pollen or whether there is a pest such as a wasp trying to enter the hive. Its like tinder for bees. Once people identify what is in the images they can then use that information to train image recognition algorithms so that the process becomes automated and they can notify bee-keepers in real time what is happening with their hives. Blazer will be giving a talk about the future of bee-keeping and how they see it progressing. Members of Enterprise Ireland’s New Frontiers Programme will present a five minute pitch of their business concept followed by panel questions. The companies will be competing to win a ‘pitch’ for their business for 6 months, all expenses paid, at the LINC at the Institute Technology Blanchardstown. This incubation space will be fitted out for three persons and allow access to free broadband, heat, light and electricity costs for the duration of the prize. Up to 400 foreign delegates will come to Cork for the Startup Nations Summit from November 18th to 20th. This network is all about identifying policy levers that can unleash high impact entrepreneurship and innovation. It is made up of “startup savvy” policymakers and program leaders focused on exploring different regulatory changes and other policy ideas to help accelerate new and young firm formation in their economies. This Startup Nations group shares ideas about what is working and what is not in their respective environments; connects to research and communicates priorities to a Global Entrepreneurship Research Network (GERN) and its individual members, and enables informal knowledge sharing among economies focused on leveraging entrepreneurs and their startups in order to create jobs, build economies and expand human welfare. Eoin Costello, CEO of Startup Ireland said the event is a fantastic fit for Ireland given the country’s rapid recovery, which has led it to becoming Europe’s highest growing economy. . The participants include all of the HPSU companies and the Competitive Start Fund companies that we invested in 2015 and a representative from each of the 12 New Frontiers Programmes. At the HPSU Investor Day – Class of 2015, companies have the opportunity to meet with many investors, banks and other support organisations for start ups. The Start-Up Class of 2015 features 2 of the LINC’s current New Frontiers Phase 2 companies! Applications for New Frontiers Programme PHASE 1 commencing 1st February 2016 now being accepted. 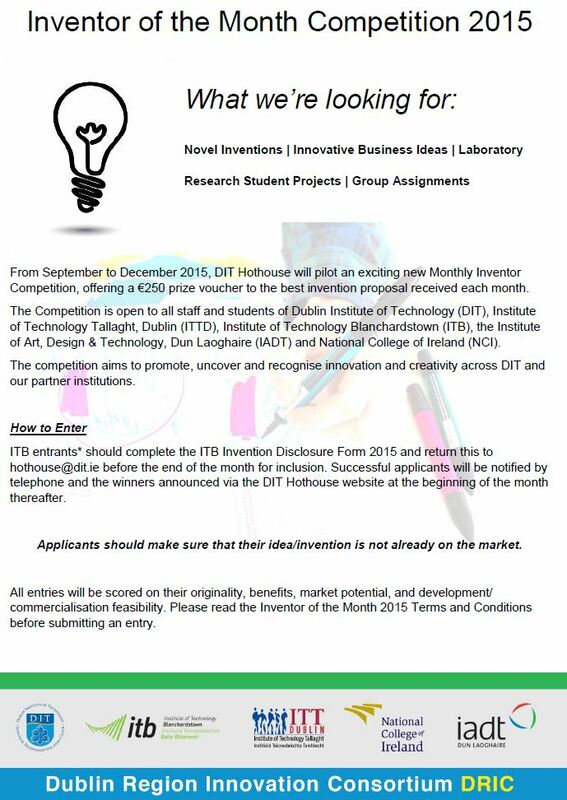 Closing date for applications is 15th January 2016. On December 3rd the Cyber Security research lab at ITB will host a seminar on Security Intelligence supported by ICT Ireland Skillnet. This seminar is targeted at those who are keen to know the status of Security Intelligence from a National, Corporate and End User level and how to get funding support in R&D to deliver competitive advantage for their business. This event is targeted at senior managers and CEOs in Business and Technology sectors that are keen to know the status of Security Intelligence from a National, Corporate and End User level and how to get support in R&D to deliver competitive advantage for their business. Overview of the status of Security Intelligence at a National and International level and its importance for businesses. Discussion of the current and future risks and threats facing corporate businesses and what needs to be done to increase security. Discussion of the high profile cyber attacks of recent times and the danger to end-users. Research partnership opportunities between academy and companies. Short presentations of companies who have won R&D funding from European Union. The ICT Ireland Skillnet is funded by member companies and the Training Networks Programme, an initiative of Skillnets funded from the National Training Fund through the Department of Education and Skills. Join us for this highly energetic and interactive day of events in Crowne Plaza Hotel, Blanchardstown. Get expert advice and practical information on how to make YOUR business a success! 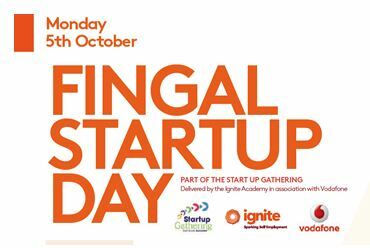 Delivered by the Ignite Academy in association with Vodafone, Fingal Start Up Day is a fantastic opportunity for business owners or those thinking of starting their own business. Things at hotting up at Cortechs as they close down on the testing and completion of their game development of their first brain powered playing game called Zip and the Misty Mountain! 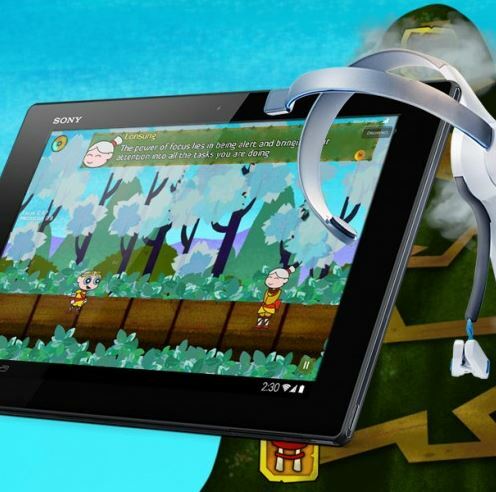 Zip and the Misty Mountain is Cortech’s first ever 2D runner game for 6-12 year olds that both responds and works to improve your powers of concentration and relaxation! Cortechs use a brainwave-sensing headset from Neurosky that connects by bluetooth to the game and they train attention and relaxation levels in real-time through their games.